It’s a new year so time to start listening to new music, Getintothis’ Amos Wynn has the low down on three up and coming acts. 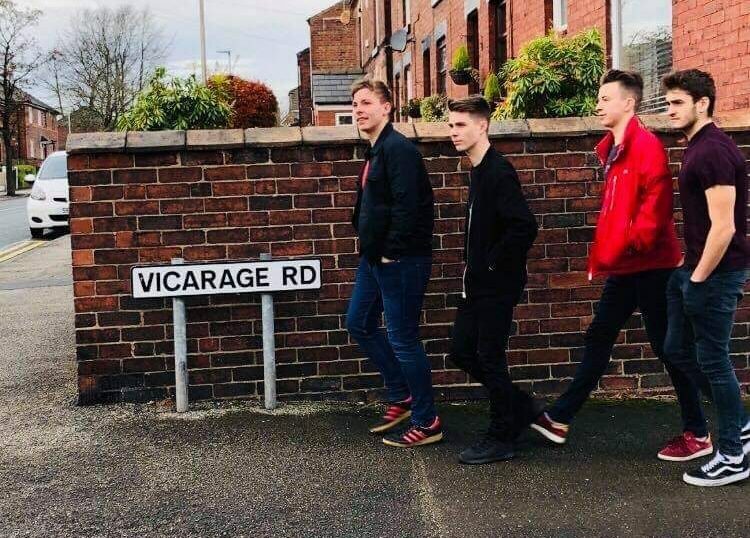 The Lilacs are a brand new four piece from Wigan comprised of vocalist Ollie Anglesea, lead guitarist Sam Birchall, drummer Dave Gomersall and bassist Matty Johnson. The decision to form a band comes from all four members playing their instruments individually for many years as well as a ‘passion’ for the industry. The name of the band was chosen after sadness hit the four piece, when Birchall’s mother sadly passed away from cancer last February. One of their next shows will be at Manchester Academy, as apart of Emerging Indie Festival 2019 as the band look to conquer 2019. Heading down south, Kent three-piece The Gallerys enjoyed an eventful 18 months. The three-piece, comprised of James Wood (guitar), Craig Barden (bass) and Dan Maggs (drums) had highlights such as supporting Britpop legends, The Bluetones, as well as getting the opportunity to record an EP at Abbey Road. “We are huge fans of those bands, so it was brilliant for us. We ‘accidentally’ stumbled into studio 2, where The Beatles recorded all their albums, whilst looking for the toilet. What an experience,” says the three-piece. As well as supporting the Bluetones at venues up and down the country, the band have also enjoyed some gigs in their hometown. After having the opportunity to support acts such as Louis Berry and The Sherlocks at the Tunbridge Well Forum, they have since played their own headline show there. The band released their latest EP, Lucid Trail, over Christmas and is available now to enjoy the three-pieces retro 60s sounding brand of music. Elsewhere, another three piece, Patawawa, also had a lot to celebrate in 2018, as the Derbyshire band went on their first ever headline tour. The band also released a number of new tracks for fans to enjoy, with good response and positive reviews. Influences for the band mainly comes from disco and funk, with old school 70s bands, as well as modern disco, being the main influence, which makes them sound like they’re a million miles away from Matlock. To end 2018 the band played a sold-out gig in their hometown, Matlock, and will be hoping 2019 will provide more of the same.